This document explains in detail what media and formats you should use to deliver your music to us for mastering. These are also the media and formats we prefer to use for delivering masters back to you or to media production plants. If you do not see the format you are looking for in this document or if you have any doubts, please contact us. If you have been working in the analog domain, please do not even think about converting to digital for the mastering stage. Keep it analog all the way through. Even if you wish to release your material in a digital format, please send us your mixdown in an analog format and let us do the analog to digital conversion after we have finished the mastering process. This would eliminate unnecessary conversions. If you are working in the digital domain and want to use analog tape to add colour, then just mix down onto tape and send us the tape. Do not convert back to digital unless you really need to. All of our processing is done in the analog domain using exceptional quality vacuum tube equipment, which you can make the most of by sending us your material in an analog format. We always prefer to work from tape whenever possible. We use 1/4" tape in any reel size from tiny to 12" reels, Trident, NAB or AEG hub. Our machines can accurately reproduce monophonic or stereophonic, half-track, quarter-track or full-track configurations running at 15, 7.5 or 3.75 ips. As we calibrate our tape machines before each session, we can reproduce tapes recorded with most common and not so common as well as custom equalisations. CCIR and NAB are the industry standard, but if you are experimenting with your own equalisation, we will happily calibrate to that. We are not afraid of screwdrivers. Please make sure to include test tones in the beginning of the tape, and please label your tapes properly. Include our mastering request form with your tapes. If you would like to use other formats of reel-to-reel tape or if you are recording at different speeds, we might still be able to help, as we have a large collection of tape machines. Please contact us for details. Do not be afraid to send us your mixes on quarter-track configuration, if this is the only tape machine you have available. If you are recording in quarter-track, and you are concerned about crosstalk, it is best to only record one side of the tape. If you have a choice, our preferred format is half-track stereo at 15 ips, CCIR eq. Our tape machines can be calibrated to operate at extremely high operating levels, so do not be afraid to send us hot tapes. Record the tapes at the levels that suit you best, we will calibrate to your standards. If you like the sound of cassette tape or if you are on a budget, we are also always happy to work from cassette tape. Cassette tape is a perfectly valid analog mixdown format and if used properly can produce excellent results. We have a selection of exceptionally high quality, specially modified and upgraded mastering cassette tape decks, which can handle any type of tape running at either 1 7/8 ips or 3.75 ips. We can also accurately reproduce tapes recorded with non-standard eq and bias settings. Do not be afraid to record your tapes at high levels, if this is the sound you are going for. Our machines can handle exceptionally high operating levels without much sweat. If you are into mixing down on your 4-track cassette recorder, just make sure you use channel 1 for left and channel 3 for right. Leave channels 2 and 4 blank, and you could even record on both sides of the tape. Most such machines run at 3.75 ips, twice the normal speed. We can work from this format without any problems. If you wish to restore your old records, or you did a direct-to-disk recording, which you want to release in other formats or to edit it, we can transfer from disk to tape, cassette tape or a digital format of your choice. 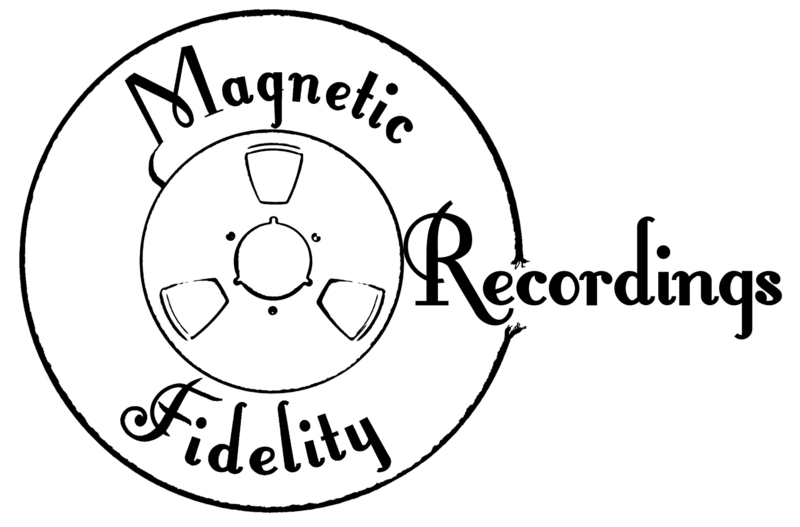 We have a selection of turntables and cartridges that can deal with different types of records, both monophonic and stereophonic at 33, 45 or 78 rpm, in a variety of equalisations. If you are working entirely in the digital domain and do not use tape machines, then please send us your material in the same format that you are using, in terms of sample rate and quantisation. There are no benefits from upsampling and you can only loose from downsampling or bit depth conversions. It is advisable to keep the file types to the industry standards as described below. We can reproduce and master from Audio CD, but if your recording was made at a higher sample rate and resolution, we would urge you to not downsample to CD format. We can accept PCM files with a .wav or .bwf extension. These can be either 16 or 24 bit files at 44.1, 48, 88.2, 96, 176.4 or 192 kHz sample rate. Please do not downsample or upsample from your original sampling rate and do not change the bit quantisation of your PCM files. Do not use dithering. If you have a choice, please work at the absolute highest settings, that your setup can offer, and send us just that. Do not be afraid of large files, it is not meant to be efficient, it is just meant to sound good. We can work with DSD files with a .dff or a .dsf extension. These can either be at 2.8 MHz or 5.6 MHz sampling rate. Please avoid doing any form of digital signal processing when working with DSD files and avoid converting between PCM and DSD. It is better to stick with what you originally have. If you have the option, we recommend using DSF at 5.6 MHz, and using it in the same way you would use a tape machine. Just record to it and play it back, but do any kind of mixing or processing in the analog domain. Alternatively, you could bring a digital multitrack PCM session out to an analog mixing desk, do your mixing in the analog domain and record the stereo mixdown on a stereo DSD recorder. We can also accept other types of digital files, but we would advise against this. Other file types, such as FLAC, AIFF, OGG, MP3, etc., would just be converted to standard, uncompressed PCM files, which we normally work from, possibly incurring extra charges. It is generally a very bad idea to send compressed files such as OGG and MP3 for mastering or media production. As a general rule, the bigger the file size, the better it will sound. Our work greatly depends on the quality of the source material. The better this is, the better the final product will be. Please always use the highest quality medium and format at your disposal to deliver your material for mastering or media production.